I was looking for a way to listen to my Christmas playlist running on my Mac Mini at home while at work. Through a little bit of searching I found this post ‘Tunneling iTunes through SSH‘. 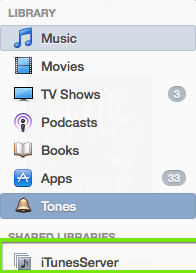 and then I see iTunes server in my shared libraries list. Now I can listen to my Christmas music at work without having to copy it to my laptop!